Riot police walk in front of the interior ministry headquarters in Cairo in 2013 (photo by Amr Abdallah Dalsh, via Reuters). Egyptian prosecutorial and judicial authorities are frequently issuing conditional release orders and verdicts that incorporate non-custodial measures like probation, not instead of but in addition to time in detention. In September 2018, for example, 215 defendants in the Raba’a dispersal case—among them photojournalist Mahmoud Abu Zeid, also known as Shawkan—were sentenced to five years in prison and a five-year probation period. Those who have been released currently report to police stations daily from 6 p.m. to 6 a.m. in implementation of this mandated probation. Even those who have not received final sentences face the possibility of probation. In December 2018, journalist and blogger Wael Abbas was ordered conditionally released from pretrial detention in an ongoing case on probationary measures; since his release, he has had to check in at the police station twice a week for two hours each time. Under Egyptian law, particularly Article 201 of the Criminal Procedure Code, authorities reviewing the pretrial detention of an individual are empowered to consider probationary measures instead of detention. These measures include: (1) compelling the accused person not to leave his home, (2) compelling the accused person to present himself or herself at the police station at specific times, or (3) prohibiting the accused person from going to certain places. While there are limits on the maximum time period for pretrial detention, there are no constraints on probationary measures, making the process discretionary. A number of cases involving peaceful political dissidents have featured different applications of probationary measures following lengthy pretrial detention periods, including house arrest following the 200-day-detention of Esraa al-Taweel, constraining her ability to participate in physical therapy after being held in poor detention conditions. While probationary measures are meant to protect evidence in a case and counteract the risk of an accused person fleeing the country, they continue to be systematically used as a form of punishment in Egypt today. In one particularly egregious case, rights defender Ezzat Ghonim was ordered released by authorities on probationary measures only to be forcibly disappeared by authorities for a five month period. He was then brought before a judge, told that he violated the terms of his probation, and placed back into pretrial detention. 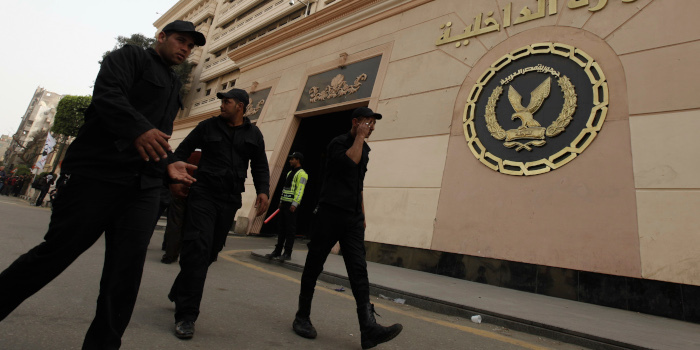 For individuals at sentencing, Egyptian law establishes a number of types of probation. More broadly, however, Law No. 99 of 1945 lays out the legal scheme governing the practice as a whole. After an individual is sentenced to a probation period decided by the judge at sentencing, the law empowers the sentenced individual to designate a residence at which to serve his or her probation period. However, the law additionally authorizes authorities to select a location for probation if no residence is provided, as well as to determine whether or not a location selected by the defendant is appropriate for police surveillance. This discretion has been used to systematically erode the right of individuals to complete their probation periods at their stated residence—a right guaranteed to them under law—and instead force individuals who have residences where police surveillance can clearly occur to spend them at police stations. At most police stations, there is not a designated location for individuals serving probation; some are held together with other detainees, while others are locked in rooms by themselves—in effect a form of solitary confinement. Depending on the police officers on duty, individuals on probation are subject to systematic harassment such as being forced to clean bathrooms and do dishes. Serving probation periods in police stations makes it nearly impossible for individuals to travel within the country, creates serious impediments for those seeking employment or pursuing their education (particularly as some police stations prohibit the entry of books and laptops), and often means that defendants are regularly spending their nights attempting to sleep on the floor. Articles 28 and 29 of the Egyptian Penal Code state that in cases involving felonies punishable by hard labor or detention that disrupt government security and other listed felonies including currency counterfeiting, theft, and murder, an individual can be sentenced to a probation period equal to his or her sentence, but no longer than five years. The provision gives the judge discretion to reduce or eliminate the probation period entirely. Various other laws, including the law governing prostitution, include provisions related to probation. While individuals who violate their probation are subject to a prison sentence of up to one year per Article 29 of the Penal Code, the law lays out no provisions governing police abuse involving probation conditions. In its current form, the Egyptian system of probation—whether at the pretrial or sentencing stage—gives authorities expansive discretion to decide on the terms of probation, raising questions on the space such a scheme leaves for politicization and the use of probation as an additional measure to silence and punish dissidents. At the pretrial stage, Egyptian authorities’ tendency to grant probationary measures only after an individual has already been held in pretrial detention for a lengthy period of time—nearly seven months in the case of Wael Abbas—violates the Tokyo Rules. Additionally, at sentencing, there is no indication that Egyptian judges are taking into account concerns of rehabilitation and reintegration, the protection of society, and the interests of the individual. Rather, a system which has resulted in individuals having to spend 12 hours every single day at a police station (referred to as “half-day imprisonment” by a local campaign) is one that deprives these individuals of a basic sense of dignity and threatens their psychological and mental health; that denies individuals the opportunity to find and maintain gainful full-time employment and allocate the time to rebuild their personal lives; and that contributes to a mounting sense of injustice, detracting significantly from the credibility and efficacy of the Egyptian system of justice and the access of its citizens to the rule of law.